Door pull handle by Hoppe Monte Carlo series. 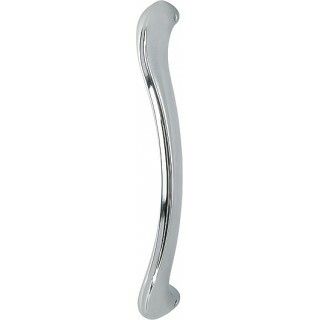 Elegant pull handle by Hoppe Monte Carlo series with two finishes in perfect symbiosis. It is made of brass, therefore robustness and scratch resistance and wear suggest us to be a high quality product. Further confirmation is the use of a layer protection on the surface called Resista, which makes it immune from normal erosion of the weather, and it can be exposed to the bad weather.